Nowadays, bathroom rugs are a must-have item for any bathroom, regardless of its size or function. What was once a privilege to the wealthy people only is something that every bathroom needs to absorb water. However, aside from this function, the best bathroom rugs can be decorative and leave a great impression to guests and everyone coming into the bathroom. They are soft, durable and can be used in a variety of toilets. So, how do you buy the best bathroom rugs and mats out there? First of all, you need to measure your space and be sure that the rug will fit perfectly. If you have a small bathroom, a runner style rug will probably be the best option as it covers all the space that you need without bunching up. On the other hand, if you have a lot of floor space, you can take advantage of it and use the best bathroom rugs and mats in the form of sets that can comfort you when exiting the shower, while sitting on the toilet etc. Below, we are listing the best bathroom rugs and shower mats on the market, all in order to help you make a well-informed decision. 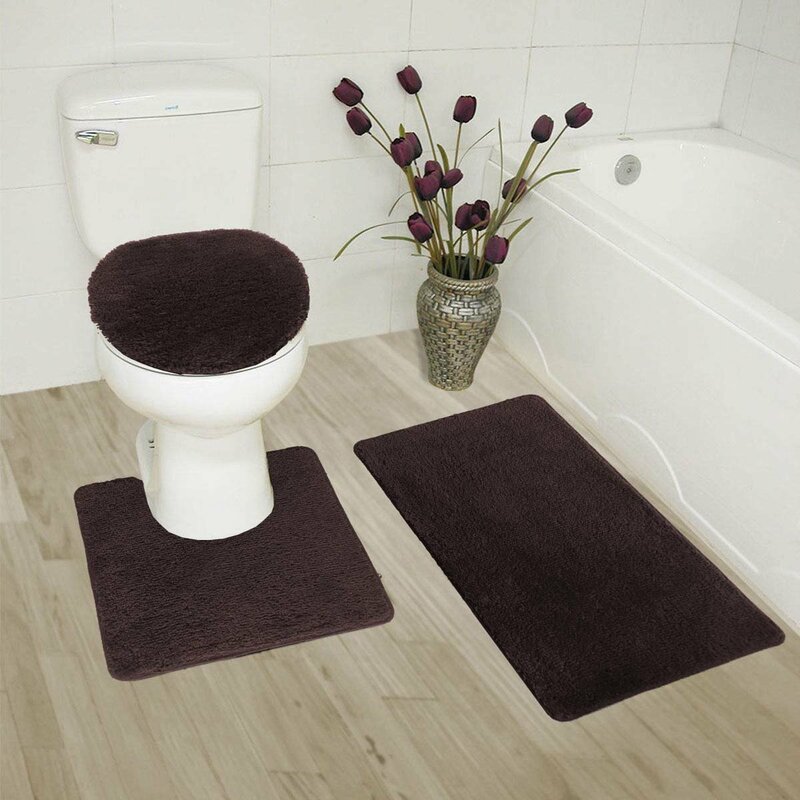 First on our list is a product by Genteele which is one of the best bathroom rugs on the market. It is comfortable, luxurious and filled with soft polyurethane memory foam and outer materials. The velvet-feel microfiber lets you step out of the bath or shower onto a “cloud”. The best part about it is the fact that it is non-slippable and fully reliable. It also excels when it comes to absorbing water and prevents shifting and skidding. However, it shouldn’t be placed on wet surfaces. Perfect for home bathrooms as well as vacation homes, offices, master bathrooms and kids bathrooms, this product comes in many colors including Gray, Black, Beige, Eggplant, Navy and Teal. It also comes with a lifetime warranty by the company. 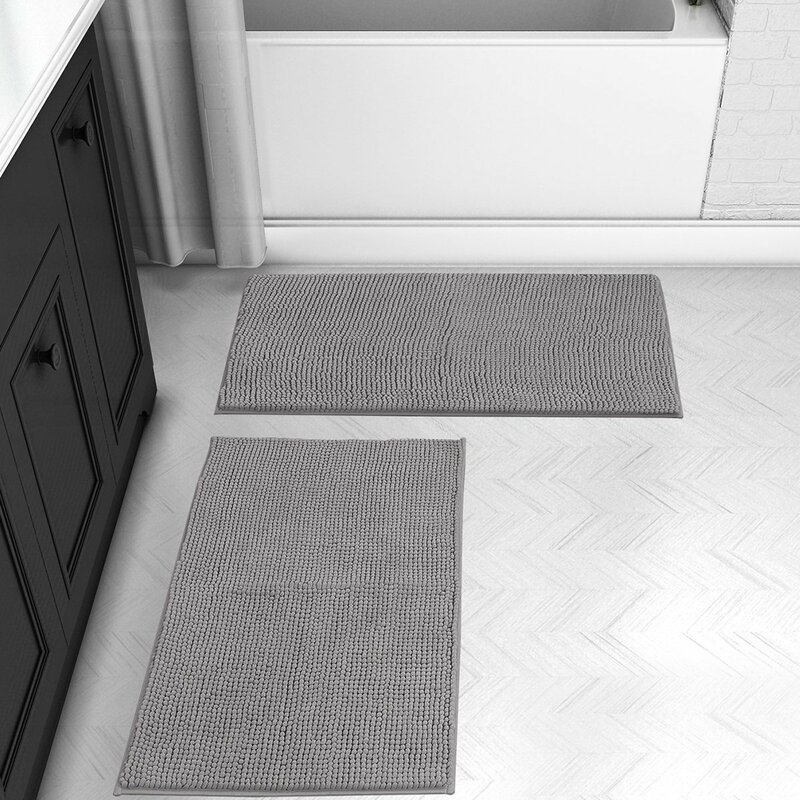 The VDOMUS bathroom mat is constructed with thousands of individual microfiber shags, allowing you to sink your toes into the comfy contentment of a bath mat from threshold. Available in five different colors, this bathroom rug is made from plush polyester which is highly absorbent. The mat dries quickly which is why it is more hygienic and keeps germs out of your bathroom. It is also machine washable and featuring a backing that is durable and waterproof. You can use it on hardwood floors without worrying about any dampness. In the end, this product comes with a satisfaction guarantee which reassures you that it is reliable and functional for any bathroom. 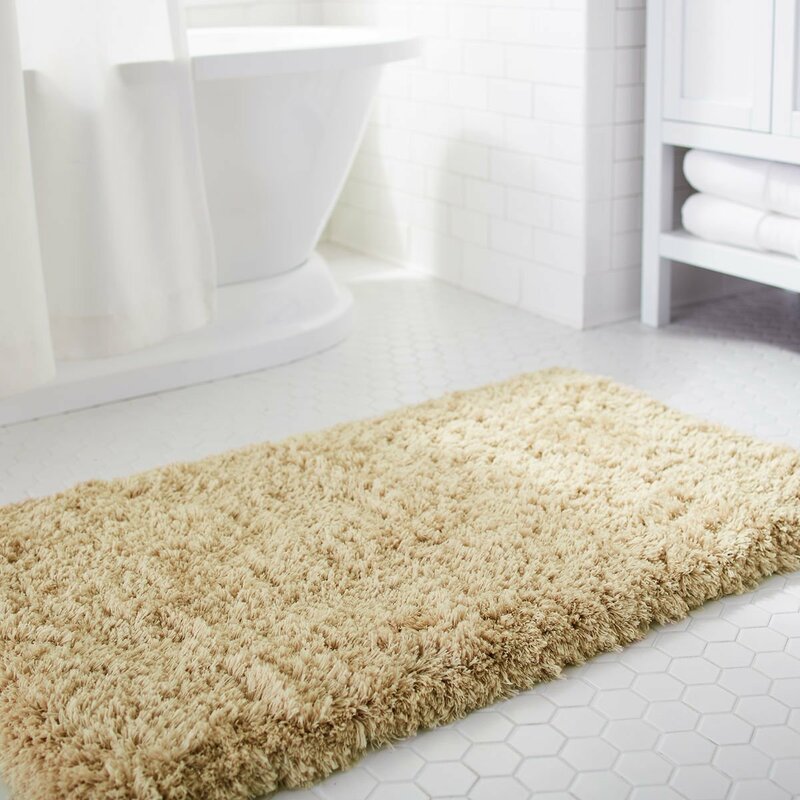 If you are looking for the best bathroom rugs that do not hurt the floor, are stain resistant and extremely durable, this is definitely a model to consider. Measuring 32 x 20 inches, it adds a plush element to your morning bath and can be the perfect addition sitting next to your shower or tub. Aside from this, the bathroom mat is made from chenille yarn and absorbent sponges, allowing the water held within the mat to dry quickly. 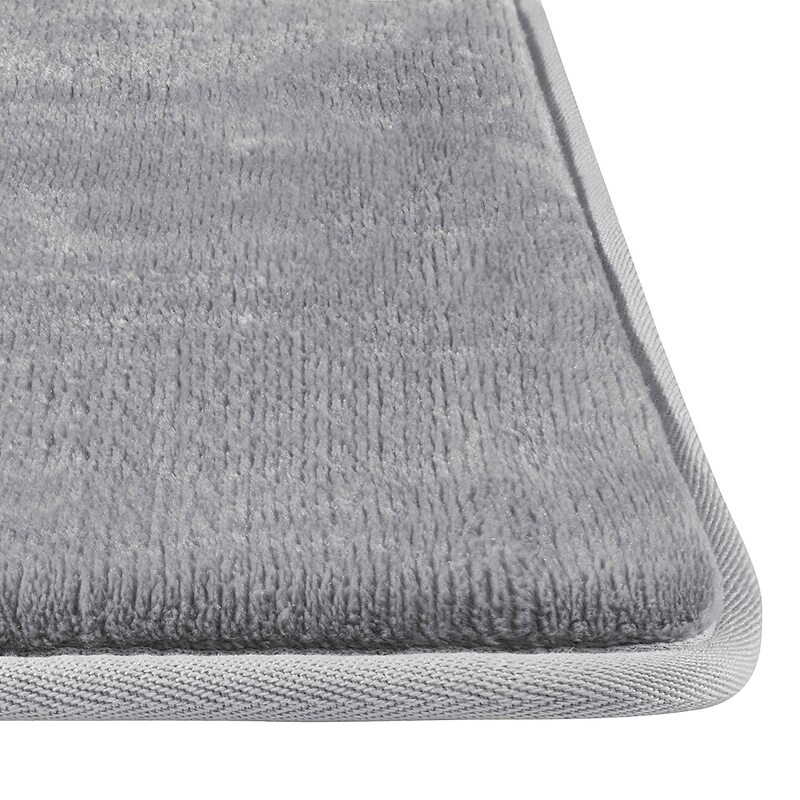 When it comes to colors, it is available in three varieties – Grey, Grey Chenille and White Chenille. 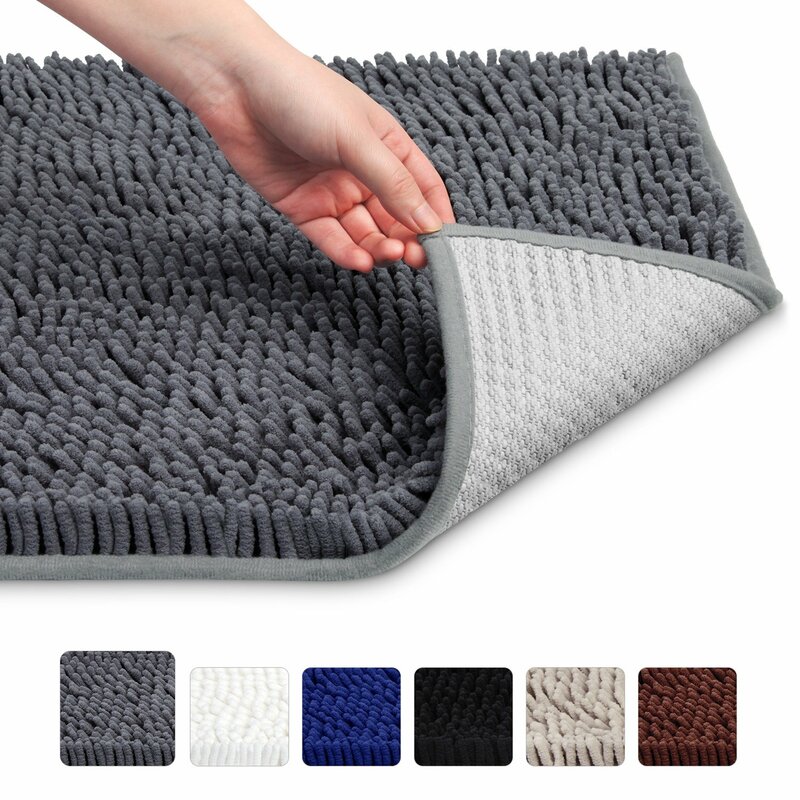 The rubber backing with powerful gripping technology makes this one of the best bathroom rugs and mats made from microfiber. It also comes with powerful gripping technology preventing slippage and requiring easy care (machine wash only). What’s great about this product is the fact that it protects your feet from the cold floor while protecting your floor from moisture. It absorbs water in a great way – rapidly and effectively. 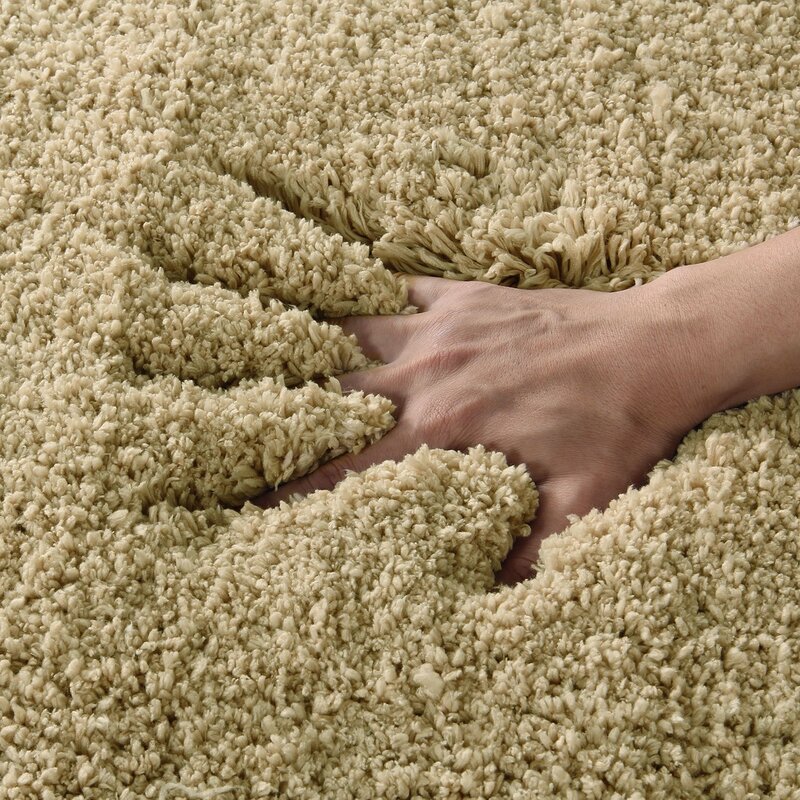 Aside from this, however, the Norcho bathroom rug can be used in many rooms and excels when keeping the dust away from your house. The vivid decoration of the white rug (available in Khaki, Green and Light Blue) also makes it amazing, giving it a brilliant white hue and a soft polyester twill construction that can align to your home decor. 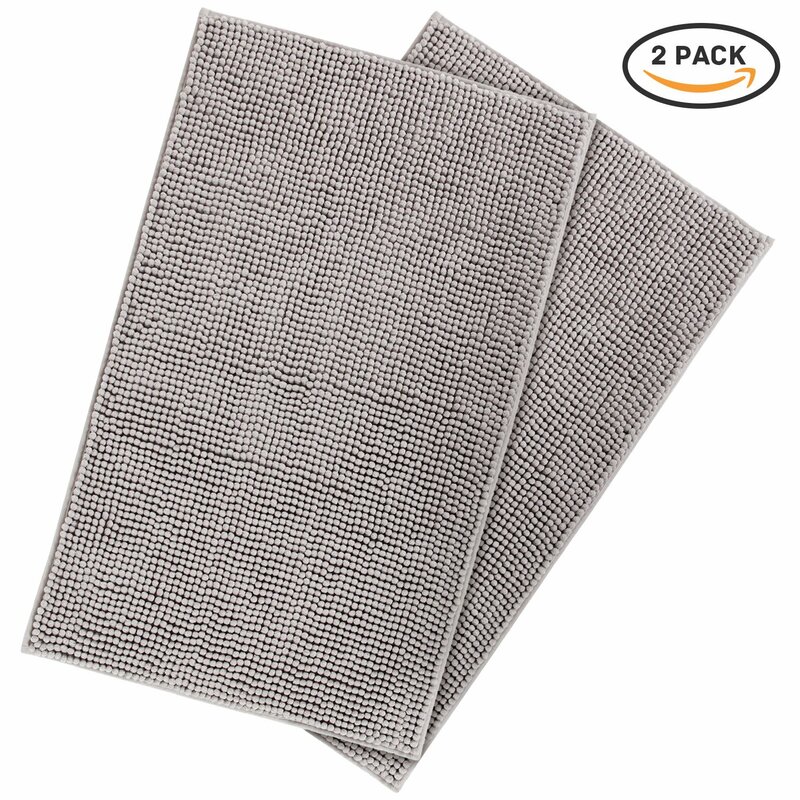 This three-piece bathroom rug/mat set is an all-around accessory that can be used in any bathroom. The greatest thing about it is the fact that it comes with a bathroom mat, a toilet cover and another rug designed to give you comfort while you are sitting on the bathroom. Another great thing about it is the fact that it comes in even 16 different colors which makes it one of the most universal and stylish bathroom rugs out there. The set includes a 19″ in. x 19″ in. Lid Cover; 19″ in. x 19″ in. Contour and a 19″ in. x 30″ in. Mat. It is machine washable and has a latex rubber backing on both mats (the floor ones). In the end, all of these best bathroom rugs and sets hit the perfect balance between absorbing bathwater, drying quickly and giving you that extra feature you need (each one in a different way). Tested and reviewed, they are made of better and longer-lasting materials than most rugs and offer superior non-skid backing, plentiful color options and amazing guarantees.